Home Personal Development 8 ways to increase your drive and motivation to achieve your goals. 8 ways to increase your drive and motivation to achieve your goals. When asked during an interview how he managed to reach the top as a professional bodybuilder and Hollywood actor, Arnold Schwarzenegger replied with a single word, “Drive!” All great success ultimately begins with an idea, but what makes ideas become reality is the fuel of human desire. 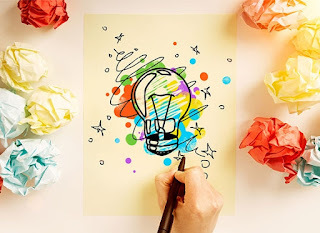 An idea by itself can give you a temporary feeling of inspiration, but burning desire is what gets you through all the perspiration necessary to overcome the inevitable obstacles along the way. Take a moment to think about the goals you’ve set for yourself. (You have set goals, haven’t you? If not, go read the article on setting clear goals.) How committed are you to achieving these goals? Under what conditions would you give up? What if you could significantly increase your desire to achieve these goals? What if you wanted them so badly that you knew with absolute certainty that you would absolutely, positively never ever give up? When you are truly 100% committed to reaching your goals, you move from hoping to knowing. If you want something badly enough, then quitting is simply not an option. You either find a way or make one. You pay the price, whatever it takes. Those with an intense, burning desire to achieve their goals are often referred to as being “driven.” But is this special quality reserved only for a privileged few? Certainly not. With the right approach, anyone can cultivate a deep, burning desire within themselves and move to a state of total commitment, knowing with certainty that success is as inevitable as the sunrise. So how do you cultivate burning desire? You begin with an outside-in approach, altering your environment in ways that will strengthen your resolve while eliminating doubt. If you take the time to do it right, you’ll establish a positive feedback cycle, such that your desire will continue to increase on a daily basis. I’m not going to pull any punches with this one. If your goals are really important enough to you, then you can start by burning the proverbial ships, such that you have no choice but to press on. For instance, if you want to launch your own business, you can begin by making the commitment to quitting your job. Write a letter of resignation, put it in a stamped envelope addressed to your boss, and give it to a trusted friend with firm instructions to mail the letter if you haven’t quit your job by a certain date. In the classic book The Art of War, Sun Tzu notes that soldiers fight the most ferociously when they believe they’re fighting to the death. A good general knows that when attacking an opposing force, it’s important to create the illusion of a potential escape route for the enemy, so they won’t fight as hard. What escape routes are you keeping open that are causing you not to fight as hard? If you don’t burn those ships, you are sending the message to your subconscious mind that it’s ok to quit. And when the going gets tough, as it inevitably does for any worthwhile goal, you will quit. If you really want to achieve your goals, then you’ve got to burn those ships to the ground, and scatter the ashes. If you’re thinking that the average person won’t do this, you’re right — that’s why they’re average. Let’s say one of your important goals is to lose weight. Get some poster board, and make your own posters that say, “I weigh X pounds,” where X is your goal weight, and put them up around your house. Change your screensaver to a text message that says the same thing (or to some equally motivational imagery). Get some magazines, cut out pictures of people who have bodies similar to what you’d like to have, and put them up around your house. Cut out pictures of healthy food that looks good to you, and post those around your kitchen. If you work in an office, then alter your office in the same manner. Don’t worry about what your coworkers will think, and just do it! They may poke a little fun at you at first, but they’ll also begin to see how committed you are. Make friends with people who will encourage you on the path to your goals, and find ways to spend more time with them. Share your goals only with people who will support you, not those who will respond with cynicism or indifference. If you want to lose weight, for instance, get yourself into a gym, and start befriending those who are already in great shape. You’ll find that their attitudes become infectious, and you’ll start believing that you can do it too. Meeting people who’ve lost one hundred pounds or more can be extremely motivating. If you want to start a new business, join the local chamber of commerce or a trade association. Do whatever it takes to make new friends who will help you keep your commitment. Although this can be difficult for some people, you also need to fire the negative people from your life. I once read that you can see your future just by looking at the six people with whom you spend the most time. If you don’t like what you see, then change those people. There’s no honor in remaining loyal to people who expect you to fail. One of the reasons people fail to start their own businesses, for instance, is that they spend most of their time associating with other employees. The way out of this trap is to start spending a lot more time associating with business owners, such as by joining a trade association. Mindsets are contagious. So spend your time with people whose mindsets are worth catching. Inspirational books and audio programs are one of the best fuel sources for cultivating desire. If you want to quit smoking, read a dozen books written by ex-smokers on how to quit the habit. If you want to start a business, then start devouring business books. Go to seminars on occasion. I advise that you feed your mind with some form of motivational material (books, articles, audio programs) for at least fifteen minutes a day. This will continually recharge your batteries and keep your desire impenetrably strong. When you absorb material created by an extremely passionate person, you’ll often find yourself feeling more passionate as well. A great book I read was Pour Your Heart Into It by Howard Schultz, the CEO of Starbucks. As I read the book, I was absolutely amazed at how someone could be so fanatically enthusiastic about coffee. Other enthusiasm-building authors/speakers I highly recommend are Harvey Mackay and Zig Ziglar. Take an inventory of all the sensory inputs into your life that affect your attitude — what you read, what you watch on TV, the cleanliness of your home, etc. Note which inputs influence you negatively, and strive to replace them with positive inputs. I’ll give you some good places to start. First, avoid watching TV news — it’s overwhelmingly negative. Do you really need to hear about the woman who was mauled to death by her neighbor’s dog? Fill that time with positive inputs instead, like motivational and educational audio programs. If you like to watch movies, then watch movies that are full of positive energy, such as light-hearted comedies and stories of triumph over adversity. Avoid dark, tragic movies that leave you feeling empty afterwards. Dump the horror books, and replace them with humor books. Spend more time laughing and less time worrying. If you have a messy desk, clean it up! If you have young kids or grandkids, spend some time playing with them. Some of this may sound a bit corny, but it will really help increase your overall motivation. If you have a hard time motivating yourself, chances are that your life is overflowing with too many sources of negativity. It’s far better to happily achieve than it is to feel you must achieve in order to be happy. Whenever you pass by a mirror, which is probably several times a day, you get an instant dose of image reinforcement. So what image are you currently reinforcing? Would you dress any differently if your goals were already achieved? Would you sport a different hairstyle? Would you shower a bit more often? Although for years I enjoyed the ripped jeans and T-shirt look, I noted that when I visualized myself in the future, having achieved certain goals, I was dressed a lot more nicely. With some experimentation I found a style of clothing that looks professional and is also comfortable. So I gradually donated my old clothes to charity and replaced my wardrobe with clothes that fit the new identity I was growing into. (Consequently, there’s a Salvation Army store with quite a stock of gaming industry T-shirts.) I learned this idea from an ex-Navy Seal, who stressed to me the importance of taking pride in your appearance, and I can say with certainty that it makes a noticeable difference. So make sure the clothes you wear each day are consistent with your new self-image. This is a Neuro-Linguistic Programming (NLP) technique that will help you associate strong positive emotions to whatever goal you’re working to achieve. Find some music that really energizes and inspires you. Put on your headphones and listen to it for fifteen to twenty minutes, and as you do this, form a clear mental picture of yourself having already achieved the results you want. Make your imagery big, bright, vivid, colorful, three-dimensional, panoramic, and animated. Picture the scene as if looking through your own eyes (this is very important). This will help you form a neuro-association between the positive emotions elicited by the music and the goal you want to achieve, thus strengthening your desire. This is a great way to begin each day, and you can even do it while lying in bed when you first awaken if you set things up the night before. You should cycle the music periodically, since the emotional charge you get will tend to diminish if you listen to the same songs each time. Keep in mind that this form of mental programming is already being used on you by advertisers. Watch a fast-food TV commercial, and you’ll note that the food is big, bright, and animated — spinning burgers, lettuce flying through a splash of water, ripe tomatoes being sliced — and don’t forget the catchy tune. So instead of letting others program your desires for you, take charge and mentally reprogram yourself. Once you set a goal for yourself, act immediately. As you begin working on a fresh new goal, don’t worry so much about making detailed long-term plans. Too often people get stuck in the state of analysis paralysis and never reach the action stage. You can develop your plan later, but get moving first. Just identify the very first physical action you need to take, and then do it. For instance, if you’ve decided to lose weight, go straight to your refrigerator, and throw out all the junk food. Don’t think about it. Don’t ponder the consequences. Just do it immediately. One of the secrets to success is recognizing that motivation follows action. The momentum of continuous action fuels motivation, while procrastination kills motivation. So act boldly, as if it’s impossible to fail. If you keep adding fuel to your desire, you will reach the point of knowing that you’ll never quit, and ultimate success will be nothing more than a matter of time.